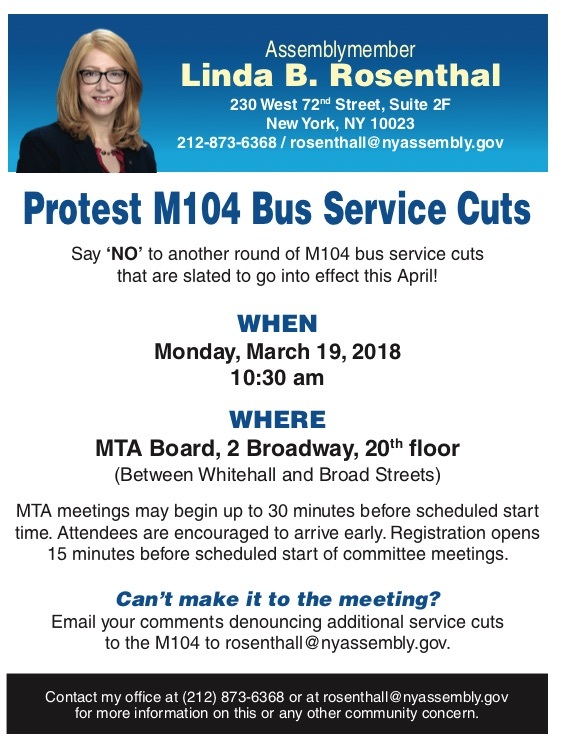 The MTA and NYC Transit has proposed bus service cuts to the M104 line. Assemblymember Rosenthal wrote a letter to NYC Transit President Andrew Byford requesting the cuts be halted. Monday, March 19. 10:30 a.m. Please share with anyone who may be interested in testifying against further service reductions along the M104 route. This entry was posted in CHEKPEDS, Events, Transit and tagged buses, MTA. Bookmark the permalink.